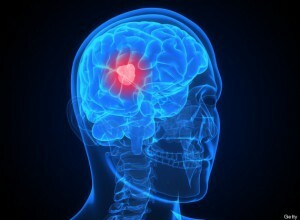 Brain tumor treatment options depend on the type of brain tumor you have, as well as its size and location. The signs and symptoms of a brain tumor vary greatly and depend on the brain tumor’s size, location and rate of growth. There is a new ray of hope for patients diagnosed with brain tumor disorders for treatment by Gamma Knife radiosurgery. Although it’s called Gamma Knife, there is no blade or blood. Instead, it’s a stereotactic radiosurgical treatment that delivers a dose of gamma radiation to the target with surgical precision and is the most accepted and widely used radiosurgery treatment in the world. Gamma Knife is a very precise and effective instrument that uses radiation to treat the brain and is often called radiosurgery. Gamma Knife surgery is recognized worldwide as the preferred treatment for brain tumors, arteriovenous malformations and brain dysfunctions such as trigeminal neuralgia. The absence of an incision eliminates the risk of haemorrhage and infection.